De La Salle University, in its continuous effort to make the undergraduate application procedure updated, accessible and convenient to students applying to take the DLSU College Admission Test (DCAT) introduces the Online Admission Facility (OAF). The OAF is a full online application facility wherein an applicant will be able to pay, fill out the application form, submit the requirements and secure the test permit online. The Special Application for Incoming Freshmen of AY 2019 – 2020 is only applicable for (1) freshman applicants who will take the DLSU College Admission Test (DCAT) for the first time and for (2) freshman applicants who were issued test permits but failed to take the test last 07 or 14 October 2018. Applicants who were already issued test permits must request for a Rescheduling of Test by sending an email through admission.requriements@dlsu.edu.ph with Subject Heading: Request to DCAT Rescheduling. A Php200.00 rescheduling fee will be collected from the applicant. Please note that the Special DCAT is not a Validating Test or a Reconsideration Test. 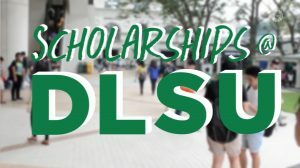 Holder of a Scholastic Aptitude Test (SAT) result, IB Diploma or GCE A Level certificate who has met the DLSU criteria (https://www.dlsu.edu.ph/wp-content/uploads/2018/09/exemptions-crediting-1819.pdf). Proof of results and all certificates will be subject for review evaluation. Upload all Application Documentary Requirements. Please allot reasonable lead time to secure the following requirements/documents and to prepare a clear scanned copy of each (in JPEG format) in time for the Application process deadline. · Certificate of Rating for Passer of the Philippine Educational Placement Test (PEPT), AlternativeLearning System (ALS) or Non-Formal Education Accreditation and Equivalency (NFE A&E) Program for non-Secondary graduates only. Over-the-counter deposit at any Metrobank or Union Bank branches nationwide. Important Note: A Verification Process shall be conducted following your submission of documents and payment of application fee. A Confirmation email shall be sent to your Registered Email address before you will be given access to print your Test Permit. Please allow ten (10) working days to be able to receive the Confirmation email. Take the DLSU College Admission Test (Step 2) on the scheduled date, time, and venue as printed on the Test Permit. All applicants must bring the Test Permit and Student ID (or equivalent valid ID) on testing day. Guidelines and reminders stated on the test permit must be strictly followed. Keep all original hardcopies of the documentary requirements. 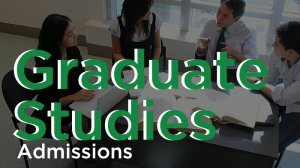 They are necessary and form part of the requirements during confirmation of enrollment. Test result will be withheld for applicants with incomplete requirements and/or who failed to comply with the specifications of the documentary requirements (e.g. unclear/unreadable scanned copies). To avoid such inconvenience, inquiries may be sent to requirements@dlsu.edu.phwith the Subject Heading: Online Application Concerns. Take note of the guidelines and reminders provided in the test permit. Complete the application process early in order to avoid unnecessary inconveniences. Access the test result in the DLSU website at dlsu.edu.phon 06 May 2019 (Monday).